Jubilant citrus tones yield to the softer redolent aroma of acacia. Tangy cherry nuances present a youth still burning with adventure, tempered by the sharp notes of yellow-fleshed grapefruit. 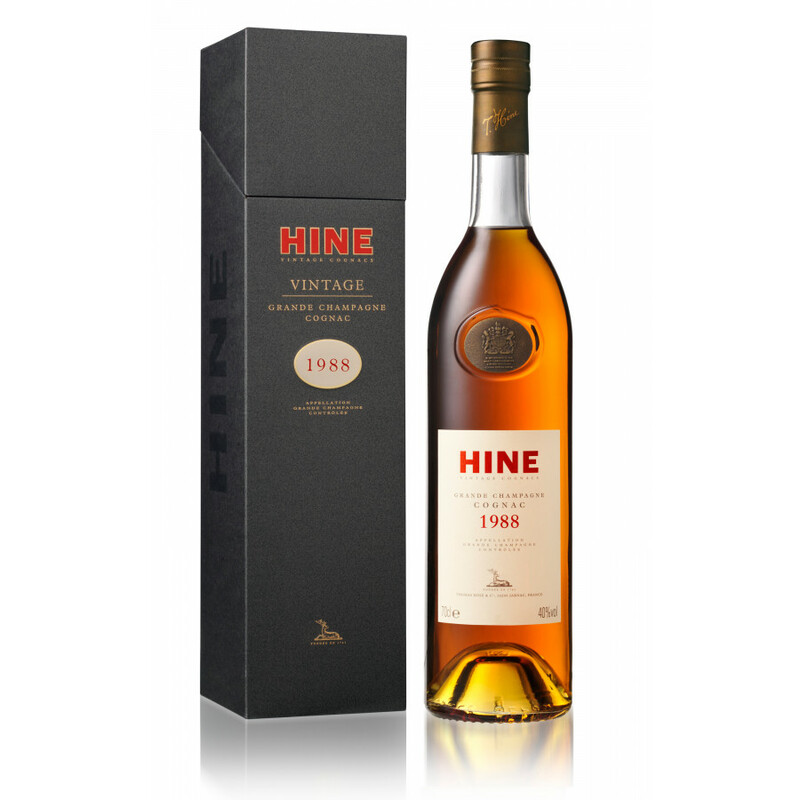 The Hine Millesime 1988 Cognac is a vintage Grande Champagne delight. The house of Hine has always specialized in bringing only the best vintages to market, and this one certainly won't disappoint. Optimum growth conditions in the seasons leading up to the 1988 harvest meant an exceptional year for premier cru Cognacs. This one showcases exactly how the aromas and flavors of various fruits really come to the fore thanks, to the magic of the Grande Champagne chalky soils. The Cognac is presented in a traditional style bottle with simplistic label. Indeed, the liquid within is all that's needed to sell this delight; no fancy packaging required, because the Cognac does all the necessary talking. Monaco, the Prince, Paris Match and Yaaaaaaaaaaaaaaaaaaaaa..aam Siiiiiiiiiing! I tasted this cognac one week ago and it's the best drink i ever had in my life. thanks Hine!